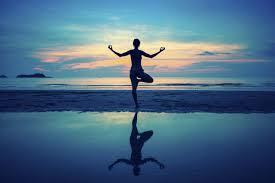 Balance is a sense, which is maintained by different body systems. 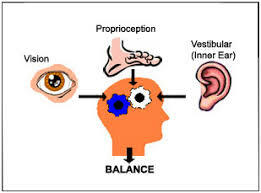 Our visual, vestibular, and proprioceptive responses react accordingly to maintain our balance. Problems with any one of these systems can lead to decreased balance and thus increased risk of falling. Visual system (eyes) - what we see. Ability to take information from our environment (what we see) to change our position or movement to avoid obstacles or to walk certain paths. Vestibular system (ears) - supplies us with input on movement and equilibrium. Gives us information about head movements and the body’s position in space (i.e. looking before crossing the street). Somatosensory System (Proprioception): our body’s sense of where it is in space. Tells us were our body is in space (i.e. are my feet touching the floor). Physical therapists can help determine what is causing your imbalance by assessing the different balance systems, and assessing your strength, flexibility, and gait deficits. Once the problem is identified, an individualized exercise program will be established to address your needs. Exercise can aide in fall prevention by improving your strength, balance, and flexibility. Many individuals avoid physical activity (exercise) because they have a fear of falling or increased pain. If this is occurring, you should talk with your physician and see if they feel physical therapy could help. Then get a referral for balance/risk assessment. Research has shown that physical therapy can help improve your strength, balance, coordination, gait, and flexibility, thereby decreasing your overall risk of falling. "“Shane was a pro! He was thorough, attentive, and patient. He adjusted sessions based on the progress made but always kept to the strategic goals.”"